Hello friends! Today's post is all about Mount Roraima. Nope, I have not been there and i hope i could be there when the time is right (and money of course). I found out about this mount when i was browsing 9gag (yes, I am a 9gagger) and i saw this picture below with the title that has got to do with end of the world. 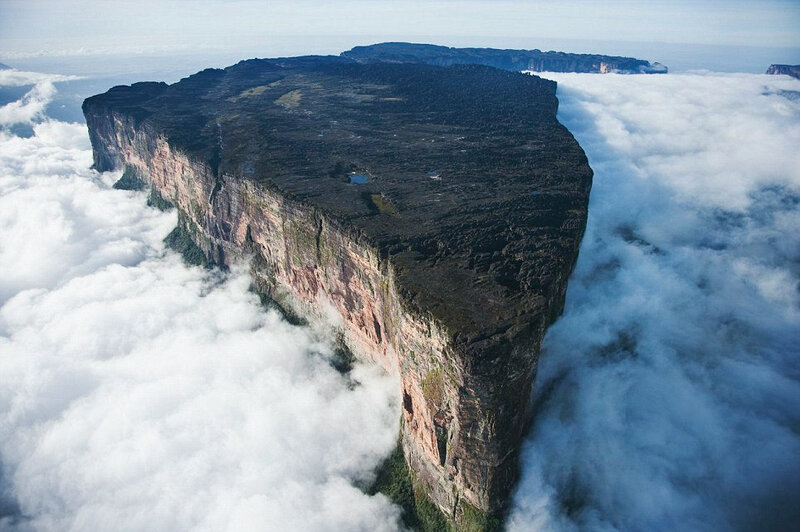 I instantly googled the picture and found out about Mount Roraima. Just a simple facts about Mount Roraima. Mount Roraima is the highest of Pakaraima chain of Tepui plateus located in South America. This mountain is not located near seaside. It serves as a triple border for Venezuela, Guyana and Brazil. Just by looking at the picture above, i really wanted to be at the peak to have a nice view of the world.